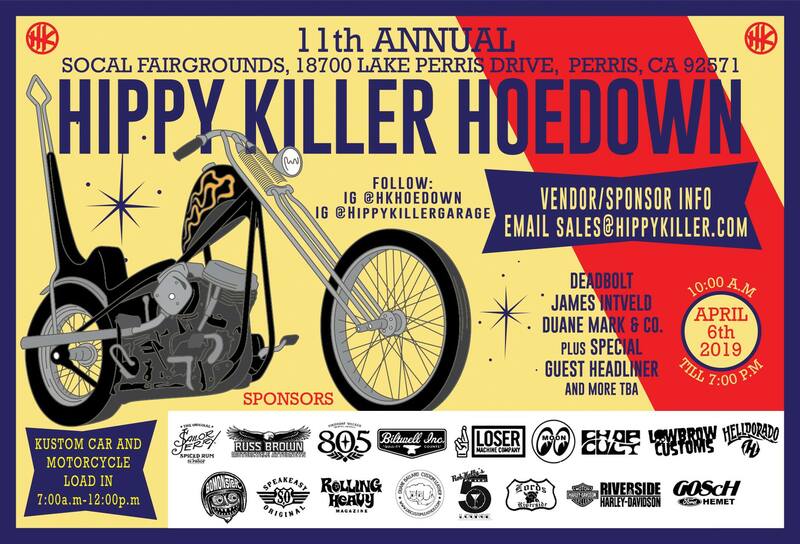 We are heading to Perris, CA, on April 6th to support our friends Jamie and Kutty Noteboom and their family for the 11th Annual Hippy Killer Hoedown. 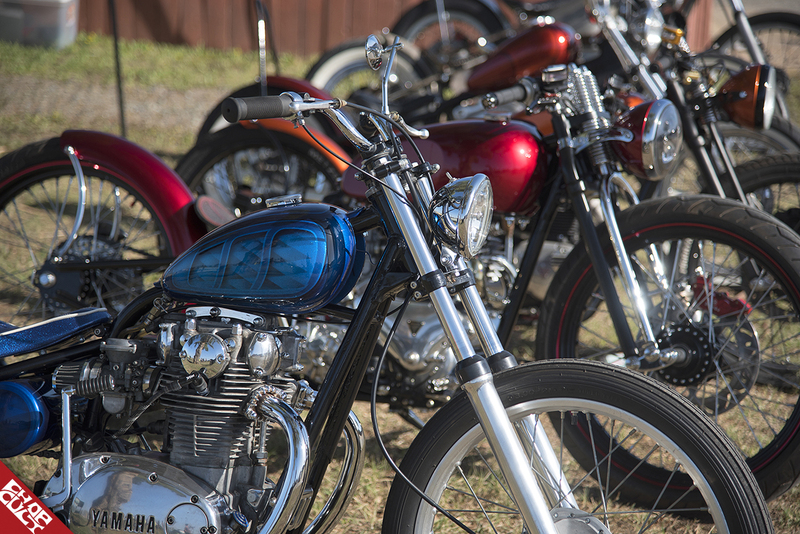 The Hoedown brings custom cars, motorcycles, vans, flat track, and pull-start mini bike racing together to provide a day of fun for all to enjoy. Kutty has hit it out of the park this year by securing T.S.O.L., Deadbolt, Santos Y Sinners, James Intveld, Duane Mark & Co, Rockin Coyotes and more! Be sure to stay by the stage between sets as there's an abundance of free swag given away all day. Gates open at 10 am until 7 pm, general admission is fifteen dollars per person, children twelve and under are free. Vendor load in and show vehicles, please use gate B to gain access from 7 am to 10 am. Click here to purchase your FastPass tickets and give the Hoedown a follow on Facebook and Instagram for valuable information.